With the clear, calm nights and very low sun angle during the day, a strong temperature inversion has developed over Star Valley. This is particularly noted at night when the lowest valley locations are much colder than along the slopes of the Salt Range such as in Star Valley Ranch. 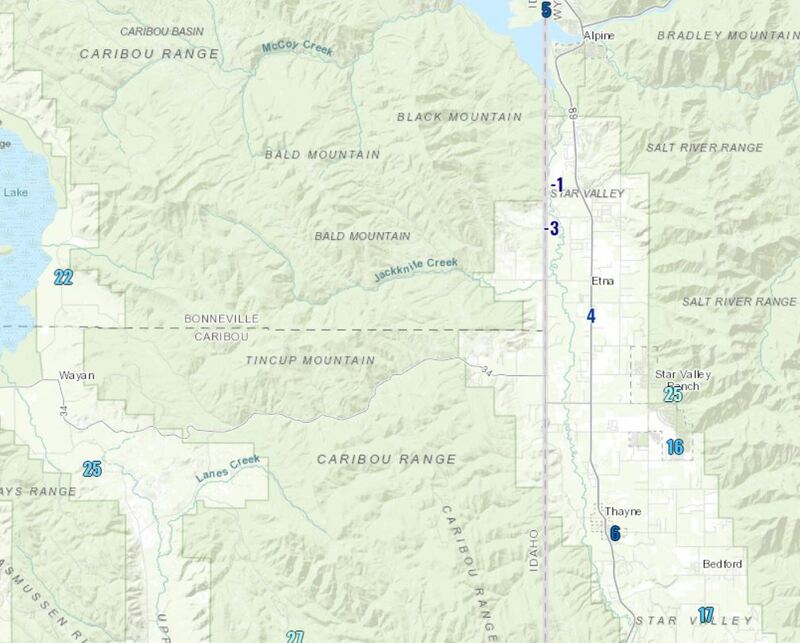 The minimum temperatures with a range of more than 25 degrees difference occurred this morning, ranging from below zero along the Salt River such as the Double L Ranch to the upper teens and low 20’s in Star Valley Ranch. Clouds will be moving across Star Valley the next several nights reducing the range in temperatures across the area. Similar inversions occur in places like Salt Lake City, however the difference there it is much more visible due to both the pollution sources and the available moisture from the adjacent Great Salt Lake. Jack Hales on Record Jet Stream Across U.S.
Wayne Huhtala on Record Jet Stream Across U.S.